They have created the first online casino 24 years ago in 1994! Besides having their own casinos, they are also partners with other online casinos that have millions of active users. They own a massive game library with over 800 unique options. After all the years, they are still improving the quality of their releases by implementing new features. There are actually over 1,200 Microgaming games available online, but over 400 of them are variations of the already existing products (roulette and blackjack types, slot sequels, etc.). There were not many online casinos in the 90s, and this gave a huge advantage to Microgaming over younger competitors. However, many firms from that time disappeared proving that integrity and reliability in the online gambling industry are built on quality and consistency. Having such a great reputation allowed Microgaming to experiment and bring new debelopments in the market. By doing so, they are risking to get negative feedbacks. Even though it is something they definitely can afford to do, all their new launches received is nothing else but positive comments and attracted even more customers. Microgaming, one of the oldest and most prestigious companies in the industry, was founded in 1994. The company headquarters are in the Isle of Man. In those years, establishing a company in the offshore island countries had many advantages, and the low tax rate was at the top of them. 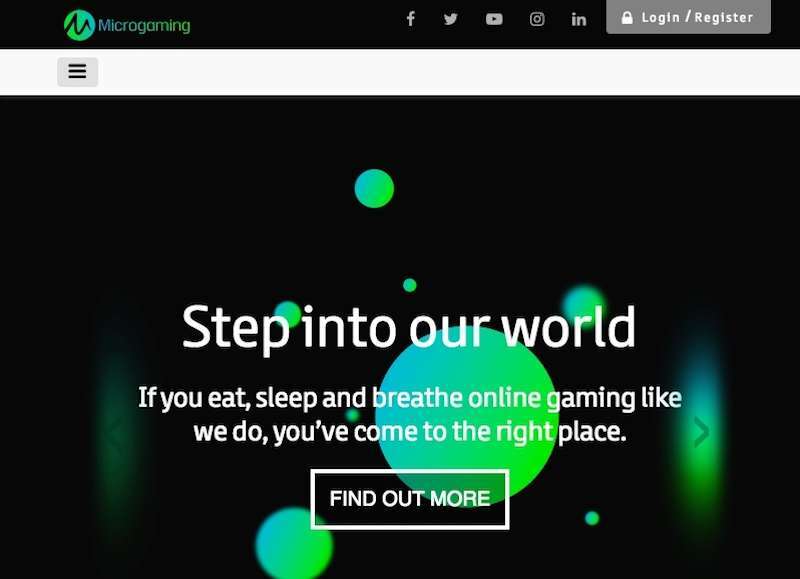 Microgaming was founded as a software company. They were developing casino games that could be played on a computer, but they couldn’t manage to sell their beta software to a distributor. In the same year, another company named Cryptologic was working on a payment infrastructure that allowed to transfer money over the internet. They did not succeed either: No one was interested in a system like that. There were no services like Amazon and eBay yet, and the idea of using the money over the internet was a “weird” thing to do. These two companies came together in the last months of 1994. 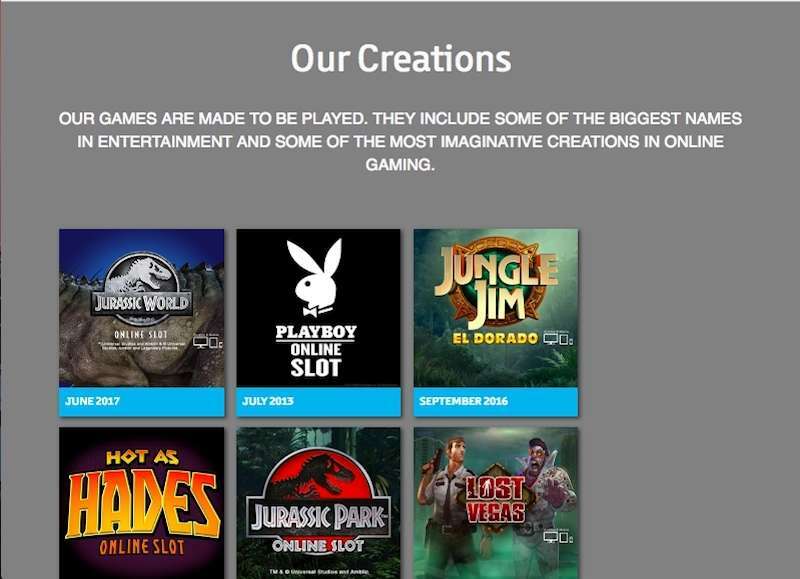 Microgaming has redeveloped it’s unsuccessful software so that it can be used on a website. They had a creative idea: To open an online casino and use their software in it. They had the games, but there was no solution they could use to make money transfers. Cryptologic solved this problem and agreed to use the payment infrastructure it had developed in the newly opened Microgaming website . This is how InterCasino, the world’s first online casino, emerged. The problem was not only trust issues, the website had no statutory basis. Remember that there were not electronic gaming licenses, even the SSL protocol back then. It was already difficult to convince people to deposit money on a website, but it was almost impossible without a legal basis. Laws were not appropriate for online industries at the time. This problem was solved in 1995: Antigua and Barbuda, small tropical island nations, announced that they were beginning to distribute electronic gaming licenses. Microgaming was the first company to receive this license. A miraculous thing happened in 1996: A player, for the first time, made a real deposit and played on a slot machine at InterCasino. It was a turning point, and it had a historical significance: Until that date, nobody in the world had ever done such a thing. If there is an industry called online casino today, we owe it to that anonymous and courageous vanguard. This event was a turning point for InterCasino. Like a breaking point, more people started to deposit money, play games and earn money at the casino. The payment infrastructure developed by Cryptologic tested for “real”. This was a successful test because that infrastructure is still used in most of the online casinos today. InterCasino began to make profits since the end of 1996. For this reason, many imitations appeared over the internet. At that time, however, there were no companies developing online casino games other than Microgaming. On these simulated websites, fraudulent and poor quality games were used, and a “digital theft” was going on. Microgaming did not want to lose the hard-won confidence of consumers. That’s why it founded the Interactive Gaming Council (IGC) in 1997. This council set the fair game standards still used today, and the term known as RTP (return to player) was first discussed in this council. This was the first progressive online slot in history. The same year, the company introduced a new feature known as “download casino”. Players could download games without logging into the website if they wanted to. At that time, this was a big and important development because the internet connection speeds were very low. Until 2002, Microgaming had numerous competitors. The Interactive Gaming Council was no longer effective because it had no supervising authority. For this reason, Microgaming came together with other leading companies in the industry to establish “e-Commerce and Online Gaming Regulation and Assurance”. Today, you know this organization with the name “eCogra”. eCogra is an independent audit company and audits online casinos to determine if they met IGC standards. In May 2009, an anonymous player earned a prize of 6.5 million dollars from the progressive jackpot slot named Mega Moolah, which is developed by Microgaming. This was the biggest prize earned from a jackpot machine until that date, and it managed to get into the Guinness Book of Records. In October 2015, Mega Moolah once again broke a record and awarded a player named Jon Heywood $ 20 million. This award is still considered to be the world’s greatest jackpot prize. In 2010, the world’s largest game distribution platform QuickFire was released. There are over 600 casino games and even a sports betting feature on the platform. In 2011, the world’s first 3D slot game was released by Microgaming. Nowadays, this is considered as a completely separate category and used to define games with highly advanced graphics. In May 2016, the world’s first playable VR casino game was released by Microgaming for Oculus Rift. In short, we can say that Microgaming is a company that is among the forerunners of the online casino industry. Most of the technologies and features currently used today were first developed by this company. The first game in the series was quite successful, but the sequel is much more fun and lucrative. Based on the Northern mythology, you have control of heroes like Odin, Thor, Loki, and Valkyrie in this slot with an RTP rate of 96.65%. Your chances of winning through the 243 pay lines are extremely high. The Wild symbol replaces other symbols and doubles the amount of the prize. If you like to play roulette, you should try this game. Riviera Riches has an RTP rate of 96.51% and 15 pay lines. You can play in a real roulette table during the bonus round and get a chance to win 4 times your bet. The jackpot prize is 30,000 coins. Break Away is an ice hockey-themed video slot, and has an RTP rate of 97%. It has 243 pay lines and offers a pretty good chance of winning. There are two different wild symbols in the game, and they have “expanding” feature. So they can fill a reel completely. During the free spins round, the multiplier values increase by 10 times. So your prize is multiplied by 10 at the end. Based on the story of Charles Dickens’ A Christmas Carol, this video slot contains 50 pay lines. The RTP rate is 96.74%. During the bonus round, you can win 6 to 20 times your bet. The grand prize is 5,000 coins. Even if it is a little low, the payment frequency is quite high, and you start to get a profit in a short period of time. If you like vampires, you’ll love this game. In the years when “Twilight” movie was introduced, vampire-based slot machines were very popular, and Immortal Romance was a game developed during this period. It uses the same rule system and the RTP value as Thunderstruck 2. But the jackpot prize is higher: 3.645.000 coins. There is also a 4-level bonus round, and the number of multipliers and free spins increase with each level. The Avalon II is another of the 243 pay lined Microgaming slots. The RTP rate is 97%, and in this respect, it offers a higher winning chance than the other 243 lined games. During the “Grail Bonus” round, it is possible to win dozens of free spins, multipliers, and cash prizes. The jackpot prize is 120,000 coins. This 27-lined and space-based video slot has an RTP rate of 97.05%. The graphics are quite colorful and offer a true visual feast when you earn money. Supernova is a multiplier-focused slot and multiplies the rewards you earn with extremely high numbers. Because it is a new game, you can play with native touchscreen controls mobile devices. Hot Ink has cartoony graphics, contains 1,024 pay lines and offers an RTP rate of 97.50%. It has many bonus features such as re-spins, 10 free spins & 10x multiplier, and 20 free spins. You can win the jackpot prize of 1,000 coins more than once. Hot as Hades contains three-dimensional effects and extremely simple rules. There are 20 pay lines, and the RTP rate is 96.80%. It’s not hard to win the grand prize of 500,000 coins thanks to the numerous bonus rounds. During the free spins round, you can win 2,000 times your bet. Moreover, you can only play with 0.01 coins. This is actually a series name, and each game is dedicated to a different ancient Greek god. You can choose what you want, but we recommend Theia. This 15-line game has an RTP rate of 96.09%. It is possible to earn 100 free spins. Also, some symbols can transform into other symbols and increase your chances of winning. Suitable for Every Liking. The number of Microgaming slot machines is so numerous that it is possible to find an option that suits every taste. The entire collection consists of more than 600 titles and offers many different themes and categories. Whatever kind of player you are, we guarantee you will find a suitable option. Fairness. Microgaming is a company that founded the fairness standards in this industry, and it will provide you with the smoothest gaming experience for this reason. There is no need to worry about the game you are playing: If it is a Microgaming title, you can be sure that it is fair. Availability. Microgaming game collection can be played on all platforms. As HTML5 technology is used, there is no difference between the performance and features between platforms. iOS, Android, Windows, MacOS – whichever you use, you get the best possible experience. Big Prizes. Mega Moolah and other Microgaming progressive jackpot titles have entered the Guinness Book of Records multiple times. It’s possible to earn tens of millions of dollars with these games. The jackpot machines with the highest rewards at the moment are being developed by Microgaming. To play Free Microgaming Slots, you can use our website. All our games can be played for free and real money. You can switch between the two versions at any time. You can also find out the best online casinos to play the Microgaming collection by reading our reviews. If you search for a casino with generous bonuses and popular games, the chances you will be stumbled upon at least one of these. It is obvious, but necessary to mention, that Microgaming software is licensed by one of the best-rated and most popular licensing agencies – the UK Gambling Commission. Authorities such as the UK Gambling Commission regulate all the back-end operations, making sure that no one is manipulating the system in order to trick or scam the players. All of their games and software were developed using well-known programming languages such as C++, C#, .NET, Adobe Flash, HTML5, and Java. This allows all regulating authorities to easily go through the code to make sure that everything is played by the rules. Surveys show that over 95% of gamblers use these platforms. Mobile gaming is a very important aspect of gambling nowadays, as it allows players to spin the reels in the matter of minutes or seconds anywhere and anytime. That is why well-optimised Microgaming software has the world-wide reputation. No matter how old or small the device is, everyone can play in the best way possible. The game will automatically fit the screen size, while the players can adjust the graphics quality. Always double check the internet connection on your mobile device, as in most cases, the lag is caused by poor connection rather than a device’s inability to perform. In 2009, a player won over 6 million USD by betting only 25 pennies in the Mega Moolah slot machine. At that time, it was the largest payout in the online casino history. However, this is not the last time someone won a huge reward playing Microgaming slots. Similar prizes have been obtained by multiple people ever since then. In 2015, a gambler won over 18 million USD by playing the Mega Moolah slot! The most recent Mega Moolah jackpot was awarded in early 2017, again over 6 million USD. Of course, these are just a few to mention as it can take months of playing to just try every single game as each differs in terms of structure, features, symbols, bonuses, combinations, etc. You can find games with only one single payline, while there are those with over 100 as well. Ways to win systems are implemented very often, starting at 256 and going all the way up to 4,096! Be aware that more ways to win do not mean higher RTP, as there are more symbol fields so always check out the RTP on the last page of the paytable and sometimes in the casino’s description of the game. Almost all Microgaming games are free to play for everyone with an option to jump into the real money version. Because of different laws and regulations, some games might not be available even in the fun mode, but no worries, as there are hundreds of other games you might be able to play. Before anything else, it is important to find an online casino that has no restrictions for the country you are currently living in. The second step is to make sure that the selected casino has proper licenses related to both fair-play and RTP. The most important step is to become aware of all the requirements, restrictions, and benefits of money bonuses. Unless you are using cryptocurrencies such as Bitcoin or Ethereum to gamble, there are always ways to get free money from online casinos. No Deposit Free Spins or Money: Requires no investment. Welcome: The most generous type of bonus. 1st, 2nd and 3rd Deposit: Almost always presented as a package. Loyalty: Rewards constant and loyal players. High-Roller: Those who play with huge amounts of money will benefit the most. Free Spins: Just a different and more entertaining way of rewarding players with free money. There can be more bonuses, but they are always similar to the listed ones. 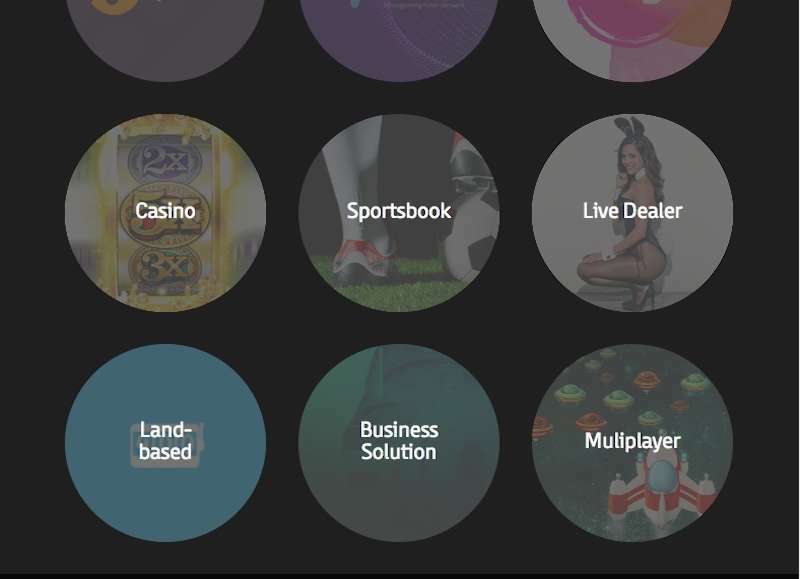 Each casino might have special promotions available, and those are always customised to fit the needs of the users or to promote new products. New Microgaming releases might have the free spins bonus attached to it to promote the product.